This PR adds support for using Mapbox vector tiles as a source of labels. See MBTilesVectorSource. Also, in order to handle vector tiles (and GeoJSON files in the wild), which don't necessarily have class_ids, a flexible class inference mechanism is added. It uses Mapbox GL filters to infer class ids, and this functionality was adapted from label-maker. 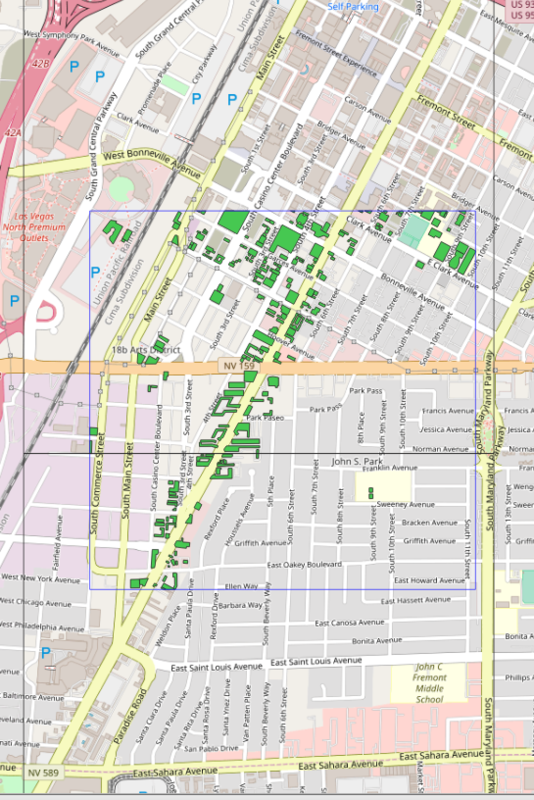 Add Vegas Spacenet example showing use of OSM vector tiles for labels. Why didn't it work over Potsdam? Why do we get warning about "polygon begins with an inner ring"? Why are there lots of empty geometry collections in OSM? 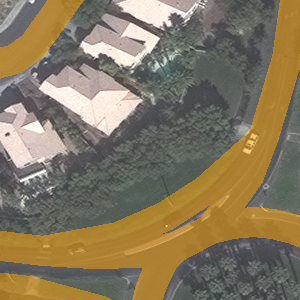 See azavea/raster-vision-examples#18 which has an example of using vector tiles on the Vegas dataset. I ran this for all tasks and got it to work. The unit test for MBTilesVectorSource uses an extent over Las Vegas that spans two tiles and filters out buildings. The two black squares show the tile boundaries, and the blue rectangle shows the extent of the VectorSource. As expected, all buildings are present, they are cropped against the extent, and the features representing a building that spans the two tiles has been merged into a single building. Merging #532 into develop will increase coverage by 1.11%. The diff coverage is 82.74%. Powered by Codecov. Last update 5dfff3c...1833301. Read the comment docs. This makes it so that old protobufs still work, so that old predict packages still work. If maintaining backward compatibility with old prediction packages is an explicit goal, is there a possibility of adding a suitable old prediction package to the integration tests? Seems like a good idea. Let me see what I can do. I reran the tests, and now there is a different test failure (f1 scores not close enough in an integration test before, failure to build docker image now). I reran the CI job and it passes. Also, I'm working on adding a backward compatibility test. It's more time-consuming that I expected, so I'd like to merge this PR now and add the test in a separate PR.